Add a piece of music to the chamber repertoire and help fill the silence left by the lost Terezín artists. Your Commission will be written by an emerging composer and premiered by a celebrated artist in one of the world's great venues. Call us at 857-222-8262 or write us at info@terezinmusic.org to start the conversation. At left: Joe and Carol Reich and family with Andre Previn. 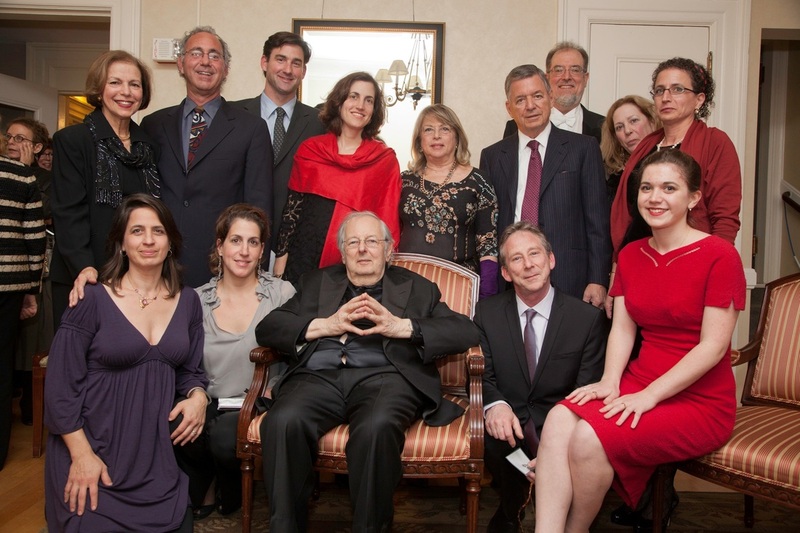 The Reiches sponsored Maestro Previn's 2011 TMF Commission, his Clarinet Quintet, and they dedicated it to the memory of family members Dr. Townsend B. Friedman and Ambassador Townsend B. Friedman, Jr. The published score includes their dedication, and their sponsorship is noted in concert programs whenever the piece is performed.